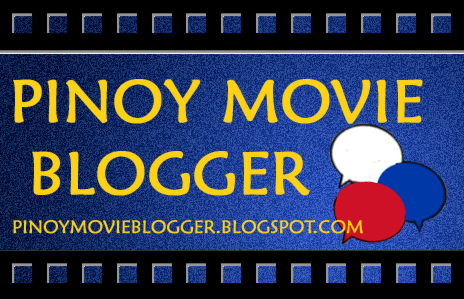 The Pinoy Movie Blogger is a spoiler-free movie review blog by a Filipino for the movie going or home video watching netizens. The conceptualization of Pinoy Movie Blogger or simply PMB came from the personal experience of the author/reviewer, Chris A.. Have you ever felt that you have this particular movie in mind that you want to watch (whether on a home video or the big screen) but you are confuse to whether watch it or not so you seek out other people's opinion and review about it to back up your intentions? Well, let Pinoy Movie Blogger be that other party to help you with your decisions. The sky is the limit here in Pinoy Movie Blogger. PMB will review any genre of movies from local (Filipino), international, animated, classic, independent, or contemporary, to documentaries, etc.. The opinions and reviews express here are completely based from the perspective of Christopher "Chris A." Aquino, author of Pinoy Movie Blogger. Film reviewed, featured, and promoted here are the copyright of their respective owners. PMB is a film review blog and does not claim ownership of the said media. The author of Pinoy Movie Blogger has no connection to the said movie firms and organizations and has not received any forms of payments from them to do such reviews. Though if these film organizations shall approach the Pinoy Movie Blogger to ask a review for a particular film, then PMB will do so but the opinions expressed here will not be affected by such favors. Pinoy Movie Blogger is a spoiler-free honest review by a blogger, film enthusiast, and a Filipino. Pinoy Movie Blogger does not claim any ownership of the resource material featured in the blog. All the film titles in the blog are copyrighted materials which all respectfully belonged to their rightful owners, personnel, company or organization. The blog is not affiliated with any of the company that rightfully owns the said source material. The blog only aims to give honest impressions, reviews, and generate buzz for upcoming and past Filipino films. If you are the owners of the said files and believe that it is violating your right as its owner. Please feel free to Contact Us to let us know so we can remove your content. What is the rating system for Pinoy Movie Blogger reviews? The Pinoy Movie Blogger rates every movie with a scale of 1 - 5 rating. Where as 5 is the highest rating, while zero is the lowest. PMB aka Pinoy Movie Blogger uses related objects to represent the rating of the film in review. For example, the movie is a horror flick then expect seeing either a 5 pumpkin icon rating system. How do Pinoy Movie Blogger rate the featured movie? The PMB blogger/reviewer will be as reviewing the featured film in all possible angle even if the author has a tendency to be biased about the film. The system that the author has come up with to address of being (biased) so positive or negative is to not immediately make a review after watching the film. If possible the movie should be watched the second time, he will do so just to make a good review regarding the film? Is the Pinoy Movie Blogger being paid to make movie reviews? Tough he would want to, he does not receive any forms of payment regarding the movie reviews featured here. The movies reviewed are mostly films the reviewer have watched (either via the big screen or home video), refered or requested by another party (a netizen, film outfit/organization) or was invited to screen. What is the purpose of Pinoy Movie Blogger? The purpose of Pinoy Movie Blogger is really for sharing the thoughts of the reviewer with the curious movie audience. Most of time, people will look for a movie review website just to find out whether a movie is good or not, and hopefully Pinoy Movie Blogger can be as one as well. A movie review website by a Filipino for the movie going netizens. Written in International English, the Pinoy Movie Goer welcomes everyone's criticism and opinion regarding his reviews and the actual movie itself. What movie will the Pinoy Movie Blogger be reviewing? There is no limit to what form of movie the Pinoy Movie Goer will review: local (Filipino), international, foreign, documentaries, home video, animated, and other movies. How do you contact the Pinoy Movie Blogger?